Nicolas Maduro was inaugurated as President of Venezuela for a second term in early January. He can now be seen as one of the worst peacetime leaders ever, not only in the history of the country, but worldwide. 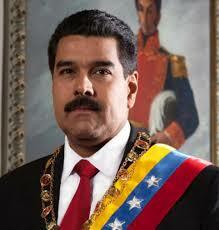 A second six year term for Maduro, will bring nothing short of catastrophe, for the long suffering citizenry. As the economy collapses, Maduro is running out of gimmicks and excuses to explain why his brand of socialism,will fail to bring anything to the people, but more economic misery. Elections have become meaningless, and only continue for appearance sake. In a normal political situation, where the leadership of the country is accountable to the electorate, Maduro and his cohorts, would have been swept from power years ago. President Maduro is beginning his second term as a dictator,however, it is without real power. He will maintain his position, only as long as the military sees an advantage in keeping him in office. The military leadership in turn, is uncertain of its own control of the country, despite the general population being disarmed. They are becoming increasingly dependent on the security forces and spies from Cuba, to the utter resentment of the Venezuelan people. The present situation can only continue, as long as money can be extracted from the state oil company (PDVSA), which itself is heading for even more production difficulties. The ongoing hollowing out of investment and talent from the firm, for political purposes, has led to plummeting output. The decades long mismanagement and under-investment, has totally destroyed productivity throughout the entire energy sector. Filling station in Venezuela of PDV (a subsidiary of PDVSA). Making matters worse, along with unskilled workers and poor management, is the sizable theft of corporate property, as increasingly desperate employees, look to supplement their income. Venezuela as in 2003 was producing over 3 million barrels of oil a day. As late as 2008, the country’s output was the tenth highest in the world, at near 2.4 million barrels a day. In 2019, it is in danger of falling below 1 million barrels a day. This would be a production level, below output already achieved in the 1950’s. The irony of the situation, is that Venezuela sits on the the largest reserves globally. It is estimated the country has close to 300 billion barrels. This comprises near 20% of world reserves. It is another example of how the pursuit of socialism in Venezuela and elsewhere, has failed to deliver the financial resources and economic development promised. 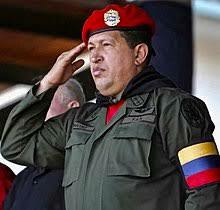 Hugo Chavez, the 45th President of Venezuela from 2002 to 2013. Maduro seems determined to continue the legacy set down by his predecessor and mentor, the late Hugo Chavez. 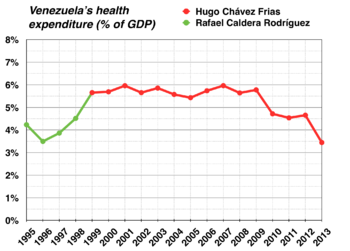 Chavez ever the populist, vastly increased public spending on poverty programs. The former leader had declared his new program a Bolivarian Revolution. His full economic and political plan soon became known as chavismo. To achieve this end, the former President borrowed money extensively, seized private businesses, imposed price controls, restricted imports and consistently manipulated the currency. Although these accumulative actions were distorting the economy, the relatively high price of oil masked most of the worst effects. Venezuelan oil was sold for American dollars, which allowed the regime to buy what it needed aboard, to keep stores stocked with food supplies and pharmacies with medicine. The profits from PDVSA were also used to help cover the huge budget deficits, that the government was piling up, as Chavez continued his transformation of the nations economy. 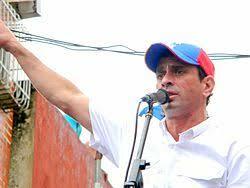 Henrique Capriles former presidential candidate. Following the death of Chavez in 2013, an election the following year, allowed Maduro to win the presidency. Due to political corruption and ballot manipulation, there are many pundits who still insist that Maduro stole the election, from the center-left candidate Henrique Capriles. The margin of victory in the presidential election was a mere 235,000 votes, or just 1.5% of the ballots cast. By 2014, the price of oil was beginning to slide. As the fiscal deficits continued to mount, the Maduro government, had to find hard currency to pay off international creditors. It was decided to dramatically cut back on imports. This proved to be a hardship on the citizenry, as many popular grocery items, electronics and medicines became no longer readily available. Maduro did keep the official exchange rate of the bolivar (Venezuela domestic currency) artificially high, to permit absolute essential imports to continue, by making them affordable. The new political elite and the military, still have access to these goods. Shoppers waiting in line at a Mercal store for government subsidized products in March 2014. In fact, the government made sure that strong supporters of the regime, would continue to have priority in the growing shortage of United States Dollars (USD). Imports have maintained their affordability, if one has American dollars. It has allowed a select elite to grow quite wealthy, at the expense of the citizenry and the nation at large. Within a short time, people had to form long lines at stores and wait for hours, to be given the opportunity to use their ration cards, for needed groceries and other household supplies. Personal hygiene items, had simply disappeared. Sometimes, to the frustration of those individuals in the queue, the store would simply run out of items to buy. When one considers the loss of time of the individual and the nation at large, with so many people spending hours of their day, waiting to buy food, one can understand why the productivity of the nation, is plummeting at an alarming rate. Output per citizen, has now returned to the level last seen in the 1920’s. A food box provided by CLAP, with the supplier receiving government funds owned by President Nicolas Maduro. Domestic production of consumer goods was in free-fall. The ruinous policies of the government would force one private business after another, to either close or go bankrupt. The authorities would insist that owners sell goods at a certain price, which often was below the cost of production. So the proprietor faced inevitable insolvency. If the business was considered essential to the local economy, the government would then proceed to confiscate the assets and then reopen, but it would henceforth operate with an ongoing loss. It became difficult for most business owners regardless of what their concern, to deal with government officials. Appliance and electronic stores for example, were among the first to fail. 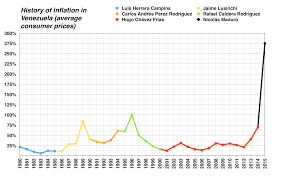 Since much of their inventory was imported, their were forced to raise prices, as the bolivar declined in valuation, due to inflation. These firms would soon run afoul on government policy, dealing with rather rigid price controls. Unable to balance their books and facing bankruptcy,the authorities would instead step in and take them over. Then would then proceed to sell the merchandise, at the official price. The inventory would soon be sold off, with no way to replace it, and the business would simply close. 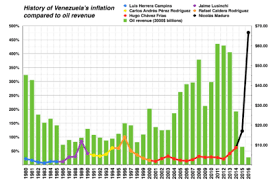 Inflation compared to oil revenue in Venezuela. Another example was the domestic toy industry. 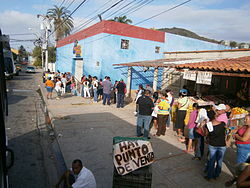 The government insisted that the prices being charged, were too high for many Venezuelans to afford. They forced the owners to reduce prices, so more of the populace could afford to buy toys for their children. It did provide a happier Christmas, for the growing segment of the population, falling into poverty. The problem arrived the following year, there were no more toys to be found. They had for the most part, gone out of business. Individuals formerly employed in these industries, would now join the ranks of the growing jobless and underemployed segment of the population. It steadily contributed to the now staggeringly high 34.3% unemployment rate, as of 2018. One by one, the government would wholesale destroy the remaining private businesses. It soon became next to impossible, to balance company books. The official price a proprietor was allowed to charge, always seem to trail expenses,as inflation skyrocketed. 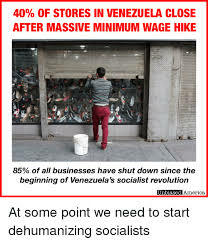 Near 85% of all businesses have closed, since the start of the Socialist Revolution beginning in 2002. Runaway inflation is causing hoarding and a thriving black market economy, even as subsidized goods themselves, are becoming impossibly expensive. Despite the government scheme to maintain an official high valuation of the bolivar, in the underground economy, it is for all practical purposes worthless. The major cause of the inflation, is the printing of money to finance the massive budget deficits, that can no longer be covered, by the rapidly declining oil output and the profits derived from them. Already in 2010, the country’s wage increases had become futile, since the cost of living simply wiped out any true gain. The inflation rate by 2014, had reached 69% and was already the highest in the world. The inflation rate in Venezuela surged to 181% in 2015 and 800% in 2016, as hyperinflation settled in. It was now at the highest level in the country’s history. The following year it zoomed up to 4000%. The true inflation rate in Venezuela, by the end of 2018, was already exceeding well over 1 million percent. A level this high, makes the currency unworkable, in conducting normal banking and business activity. No one wants to hold onto or save money in a currency, that is falling in value by the hour. In these circumstances, shops selling any consumer goods, can no longer even post prices on items for sale, since these would need to be constantly updated. The inflation forecast for 2019, is 10 million percent. Hyperinflation at this level, makes something that cost a dollar last year, will now be priced at 100,000. In August 2018, President Maduro, introduced a new currency, the sovereign bolivar. A 100,000 note from the old currency would now be worth just 1 new bill. It was just another gimmick, to try to mask the massive and destructive hyperinflation, that was now in full force. In the next few months, the sovereign bolivar would lose 95% of its valuation against the USD. By the end of 2018, local banks were already refusing to accept the 2 bolivars note, the lowest denomination because it had become worthless. Citizen eating from the garbage in Venezuela. Already by 2014, the domestic economy had gone into recession. There would be no real recovery from this economic downturn. The big problem for Venezuela was that over 90% of its export valuation, was derived from oil and petroleum derivatives. As the government was already fully engaged in dismantling the private sector, the corresponding collapse in international oil prices in 2015, brought the economy of the country to a virtual standstill. 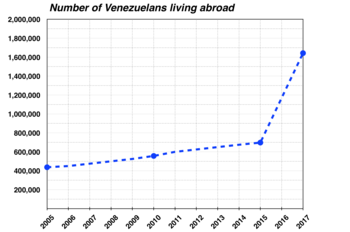 The economy of Venezuela has been contracting on an annual basis, for the last few years. Economic growth dipped -6% in 2015, accelerating to a drop of -16.5% in 2016. Another loss of -14.5% followed in 2017 and additional loss of -14.3%, in 2018. The contraction of the GDP (Gross Domestic Product) from 2013 to 2017 alone, has been far worse than anything experienced by the United States during the Great Depression or the economic chaos, that followed the implosion of the Soviet Union. The GDP of Venezuela at $96.3 billion, is now more than 50% smaller, than when Maduro first became president. Per capita (per person) GDP has paralleled the collapse at the national level. The statistics would be far worse, if not for the mass migration, out of the country. From the beginning of the economic crisis in 2014 to 2017, more than 2.3 million citizens, have left the country. It is estimated as many as an additional 700,000 departed in 2018. Cumulatively, that is equal to 10% of the population, from five years ago. Many of them arrive with illnesses and are obviously malnourished. Colombian National Police officer carrying an elderly woman across the Táchira River into Colombia. Another 5 million citizens are already making preparations for their escape from the ongoing misery that has become of Venezuela. The question is where can they all go? Neighboring Colombia, has already absorbed over 1 million refugees since the crisis began. Brazil, is second in place in the acceptance of migrants. Although the majority of the Venezuelan expatriates first arrive in these two border states, some have continued south to Ecuador, Peru and even Chile. 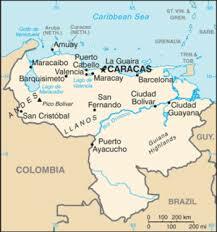 Many of them arrive undocumented, since official paperwork is becoming increasingly difficult to obtain in Venezuela. The human exodus from Venezuela, is becoming the biggest crisis in Latin America. Neighboring nations especially, want a regional approach and solution, to this destabilizing and humanitarian disaster. Meanwhile,the rising international chorus from regional leaders over the migrant crisis, falls mainly on deaf ears, within the Venezuelan government. Maduro spends his efforts at denouncing imperialist foes both home and abroad, from their attempts to undo the Bolivarian Revolution. More concerned with remaining in power, than in improving the plight of its citizenry, the Maduro administration benefits, from the self imposed exile of millions of its citizens. In the short term, it reduces the pressure, on the remaining financial resources of the country. The government of Venezuela already has its hands full, with the rapid decline in civil authority throughout the country. With almost 90% of the population falling into poverty and over 50% of the people lacking adequate income to meet basic food needs, the unraveling of law and order seems inevitable. Venezuelan refugees sleeping on the streets of Cúcuta, Colombia. Increasingly desperate, many individuals are resorting to crime, as a way to supplement the family’s basic income and provide food for its members. 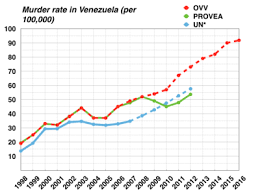 Venezuela was leading the world in murder rates already in 2015, at 90 per 100,000. In comparison, the rate is just 1.68% in Canada and even in the supposedly violent United States, the level comes in at 5.35%. 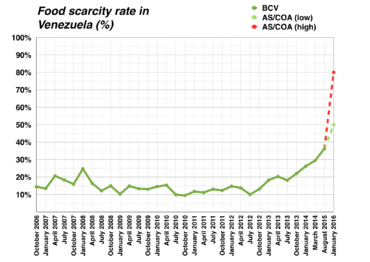 Statistics like that, have only been getting worse inside Venezuela. The distortions in the economy caused by chavismo have reached every sector. The country had been suffering from a tremendous shortage of housing, since the beginning of the 21st century. Slums in Caracas seen above El Paraíso tunnel. It was estimated in 2005, by the Venezuelan Construction Chamber (CVC) that the shortfall averaged about 1.6 million homes. Despite billions of dollars spent by the Chavez government, only 10,000 of the 120,000 promised, were actually built. 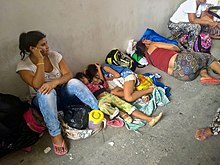 The situation had become so acute, that many Venezuelans resorted to their own devices in building homes, despite the risks involved in shoddy construction. By 2011 the housing shortage had expanding even further up to 2 million units. Up to this time, only half a million houses had been constructed by Chavez regime, which was the average of previous administrations. Two thirds of the new housing developments, were still being built by private companies. Without considering the consequences, President Chavez called on the poor to occupy what he referred to as “unused land”. Soon twenty prime real estate developments, were being occupied by squatters, bringing all construction in those areas to a halt. The situation deteriorated further, when the government itself, engaged in property expropriations. This would largely shut down, most private corporate construction of housing. At the same time, money allocated to housing was being diverted to other social programs. By 2012, the constant government interference in the construction sector of the economy, was creating shortages for building materials. Metal production for example, had plummeted to a 16 year low. This would totally disrupt, any further expansion of housing. 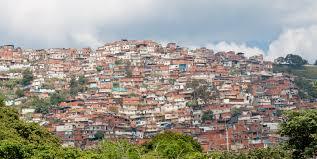 Slums in Caracas, the capital city. The result, by the end of the Chavez presidency in 2013, was 3 million Venezuelans having inadequate housing. Under Maduro, the general lack of housing became increasingly acute. In 2014, he began a government program where “abandoned” cars and vehicles would be acquired by the government, to be melted down for their metal content. The resulting material, would then by re-purposed for housing construction. The same year in a presidential decree, any Venezuelans who owned three or more rental properties, would now be forced to sell their units at a set price, provided by the government. Failure to comply would subject property owners to fines or have their property simply taken over by the government. Millions of Venezuelans marching in May 2017 during the We Are Millions march. At the first the less fortunate, already living in government provided housing, cheered the aforementioned decree. Two years later, these same individuals who were usually supporters of the government, were protesting themselves, for lack food and utilities. In sector after sector of the economy, this cycle of government intrusion, would repeat itself. One way or another it would move to shut down private enterprise and initiative. The poor and disadvantaged would blindly support these initiatives, only to discover later, that earlier government propaganda, had not warned them of the full consequences. As previously mentioned,the lavish spending of the Chavez era, was partly funded through foreign loans. Over time this borrowing led to an accumulation of debt, that continued to climb. By the end of 2017, foreign debt was topping $100 billion USD. The debt was accumulated from four main sources. 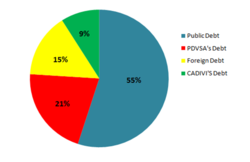 Over half would be public, close to a fifth from PDVSA, near 15% from Chinese loans, and around 10% from other areas associated with trade. As reserves of foreign exchange plummeted, to a low of just $10 billion by the end of 2017, the Maduro administration partially defaulted on bonds issued by PDVSA and the government. Full default was avoided by mortgaging, the gas, oil, and gold resources of the country to mainly firms owned by both China and Russia. The governments of China and Russia are unwilling to further extend credit, without such guarantees. However, the emasculated and largely dis-empowered National Assembly leadership has already warned, that these mortgage agreements will not be honored, once a truly representative government is re-established. Much of the legislatures former authority, had been conferred upon a compliant Constituent Assembly established in 2017, as a way for Maduro to attempt to legitimize his regime, and ease the passage of increasingly autocratic legislation. Over 40 countries many in Latin America, have refused to recognize the authority of this new political body. Only a select few, Bolivia, Cuba, El Salvador, and Nicaragua among neighboring nations, have continued to provide political support, for an increasingly isolated and hopeless regime. 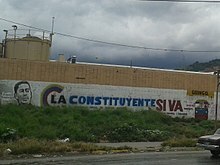 Mural promoting the Constituent Assembly in Venezuela. As expected, Maduro is losing any popular appeal, he once had. His unwillingness to alter a policy course that has proved to be unsustainable, will be his undoing. He is being forced to turn more of the government’s authority, over to the armed forces. The distribution of food for example, is now a military operation. The basics of modern life are now in jeopardy and with it the survival of the regime. Availability of electricity and water are becoming sporadic and unreliable. Corruption, years of under-investment and worker absence is the cause of much of the interruption in service. Employees of utilities themselves, can no longer live on public issue salaries with the runaway inflation. Health care once guaranteed by the state, has practically disappeared for most citizens. It is only accessible for the elite. Even where hospitals remain open, there is a total lack of needed equipment and medicine. Venezuelans are now openly despairing, about their future. The earlier years of self policing of neighbors, by motivated socialists have become a memory. The judiciary although still nominally independent, has been totally corrupted and comprised, so there is little hope, that Maduro could be forced to step down, within the present governmental framework. Earlier this month, the Lima group which includes the biggest Latin American countries and Canada have announced they are going to cease recognizing Maduro as the legitimate president. They are urging him to cede power to the National Assembly. Only the new leftist leaning Mexico, refused to back the consensus of the group. The European Union and the United States, are already prohibiting members of the Venezuelan government from traveling to their respective countries. More worrisome for the government, is the imposition of American sanctions that stop individual companies from dealing in newly issued debt. This is making it increasingly difficult, for the government of Venezuela, to come to terms with creditors. However, the main threat to Maduro and his closet allies, comes from within the regime itself. As sources of revenue from the looting of PDVSA, drug trafficking and smuggling continue to decline, it will become difficult for the government to fund the needed security apparatus. An increasing number of important members of the government and elite are worried, that they may become trapped inside the country, if there is a sudden change in government. Growing sanctions on ever more officials, is having an effect on the previous enthusiasm shared by these individuals. As the division among those willing to negotiate an exit and the governmental stalwarts widen, it makes the regime’s hold on power, increasingly tenuous. Maduro defiant as ever, intends to press forward with an agenda, that even many of his allies find dubious. The big question is the military. 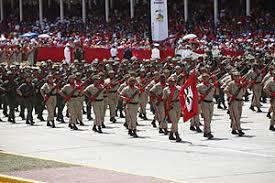 The upper echelons and the officer corp were all replaced by either Chavez or Maduro allies. Although one wonders about the loyalty of the rank and file. It is their families as well, that are doing without the basic necessities of life. As the economic, financial and political pressure amounts both at home and abroad, it is already clear, the days of the Maduro regime are numbered. What is not for certain, is how it will end and what will be the level of violence? The longer Maduro and his cronies stay in power, the less likely that a negotiated settlement will occur. If the true supporters of the government decide to dig in, it almost guarantees, their end will not come peaceably.